YOUR COMPLETE GUIDE TO WRITING AWESOME AND AMAZING FICTION FROM ANOTHER DIMENSION. 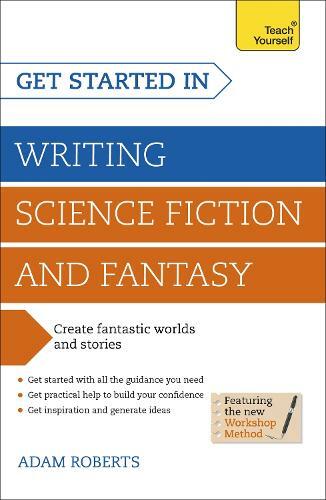 This is an authoritative and engaging introduction to writing science fiction and fantasy for the complete beginner. This book provides all the information, guidance, and advice you need to write great science fiction to captivate your readers. It will help you understand how the genre works, the big dos and don'ts - as well as giving you the inspiration and motivation you actually need to write. Written by a leading science fiction novelist and a Professor in Creative Writing at the University of London - you'll discover how to let your creativity flow, create incredible worlds, and get your novel finished.